Monday - 9:00 a.m. - 2:00 p.m.
Wednesday - 2:00 p.m. - 5:00 p.m.
Friday - 9:00 a.m. to 4:00 p.m. Animals must be at least four-months-old and weigh at least two pounds. For their own protection against contagious diseases, all dogs and cats must be current on vaccinations based on their age, prior to scheduling a surgical appointment. Rabies vaccines are required for pets 4 months and older. We cannot administer a vaccination on the same day as the spay/neuter, since protection is not immediate. Pre-operative blood work is strongly recommended for pets over six years of age. All dogs must be leashed and all cats and rabbits must be in a secure, enclosed carrier prior to entering the Center. Download important aftercare instructions following your pet's spay or neuter surgery. 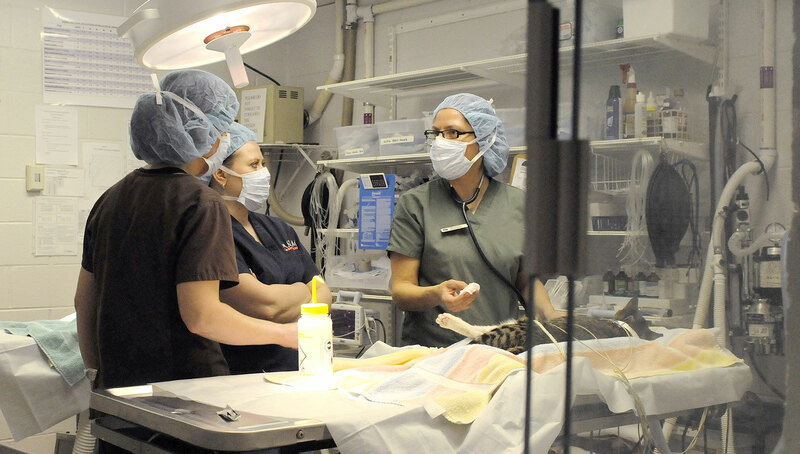 Spay and neuter services play an important role in reducing pet overpopulation in the communities they serve. The Humane Rescue Alliance partners with other shelters and rescues to support them in their mission to reach 100 percent pre-adoption spay and neuter for all of their animals heading into forever homes. Help us end the overpopulation problem by supporting the work of our Medical Center. A gift of $100 will prevent one cat from adding to the thousands of strays and ferals in our community. $150 will end the cycle of backyard breeding for one dog. Please visit our donation page to help us move forward in our mission to stem the tide of homeless animals.